The text of Cuba’s foreign investment law is not yet approved or published, but reporting by Progreso Semanal indicates that part of Cuba’s private sector will be able for the first time to benefit from investments from abroad. Reporter Manuel Alberto Ramy says that Cuban television said so in a recent newscast. That would include private cooperatives, both in the farm sector and the 452 new ones in construction, personal and business services, and other lines of work. 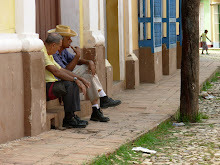 It would exclude individual entrepreneurs (trabajadores por cuenta propia), even those such as restaurants that have 20 employees, because under Cuban law they are personas naturales rather than personas jurídicas. Update: An important detail was added in the presentation by trade and investment minister Rodrigo Malmierca before the National Assembly last Saturday. Cooperatives will participate in foreign investment projects on an “exceptional” basis, he said, and with the participation of Cuban state enterprises. It will remain to be seen what that means in practice, and what the state company’s role would be. But there will not be cases where a foreign entity invests in a Cuban cooperative and only those two parties are involved.